Tri Trang Beach is situated in a nice quiet bay directly in front of the five star Marriott Merlin Beach Resort. Tri Trang is another of the four beautiful and secluded beaches hidden in the headland just south of Patong, on the west coast of Phuket. There seems to be a lot of confusion about what this beach is actually called, I read somewhere recently that it is also referred to as "Merlin Beach". 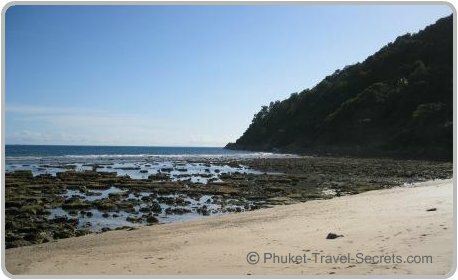 The other beach that people sometimes get confused about is the north facing Tri Tra Beach which faces into Patong Bay. The Marriott Merlin Beach Resort dominates the entire southern facing Tri Trang beach, which many people think is a private beach for guests staying at the resort. However the beach isn't private and the resort doesn't make any attempt to stop people from entering the beach via a little road located on the left hand side of the resort. I have to admit Tri Trang is not a great swimming beach, as there are too many rocks in the shallow waters. 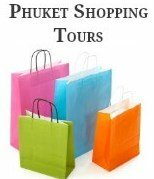 The best time to come to Tri Trang as with other beaches in this headland is when the tide is high, on high tide Tri Trang is perfect and one of the best spots in Phuket to go snorkeling. The water is clear and there is plenty of coral and colourful fish in the waters. Guests staying at the Merlin Beach Resort and visitors to the beach are able to enjoy snorkeling at high tide, however on low tide many of the resorts guests often prefer to swim at either Tri Tra or Paradise Beach or within the resorts beautiful swimming pools. Along the left hand side of the resort is some open air massage huts, a perfect location where you can lay back and enjoy a relaxing beach massage. 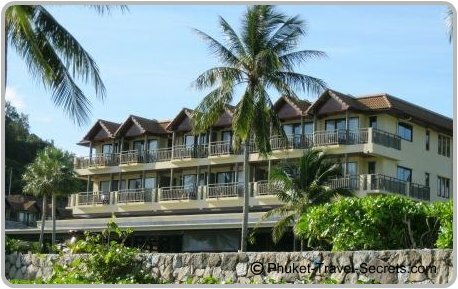 The location of the Merlin Beach Resort at Tri Trang is fantastic for a family beach vacation. Not only will you be able to enjoy all the facilities that the resort provides you will also have direct access to the beach. 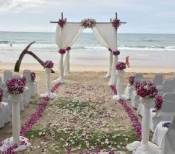 Tri Trang and the Merlin Beach Resort is a well known and popular location for romantic beach weddings in Phuket. 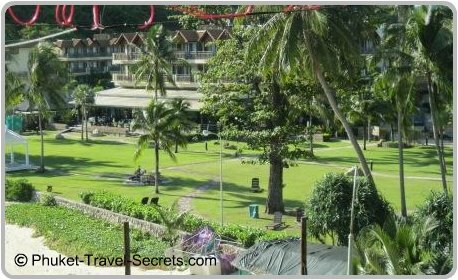 Apart from the restaurants within the grounds of the resort there is also a restaurant located overlooking Tri Trang Beach. The restaurant is called the "Little Tiger Restaurant", the views from the restaurant are stunning. To get to the Little Tiger restaurant you will need to go up the set of stairs on the left hand side of the beach. The restaurant is open for lunch and dinner, and is a much cheaper option for meals then eating at the restaurants within the resort and is a beautiful spot for a romantic sunset dinner. 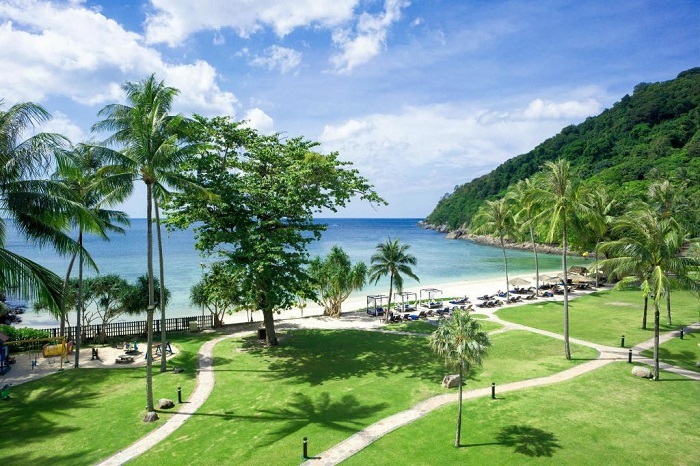 Tri Trang is close to one of Phuket's best kept secret beaches, that being Freedom Beach. The only way you can gain access to Freedom Beach is by longtail boat, which is about a ten minute boat ride from Tri Trang costing around 300 baht. Take the road at the Southern end of Patong across the bridge and follow this road until you get to the Merlin Beach Resort, which is on the left hand side of the road. If your not a guest at the resort, just along side the resort you will see a dirt road where you can park and walk down to the beach.